If you’re moving into a new Fort Worth home, you know the fun begins with picking new furniture and décor for your brand-new rooms! Our new homes in Ventana are close to many great local Benbrook businesses to help you find unique pieces for your new home. Today on the blog, we’re highlighting three fabulous businesses to help you style your new Fort Worth home. This Benbrook business has been the go-to place for upholstered goods and interior fittings since 1997. Searching for a charming chandelier, antique case or eye-catching area rug? At Simple Things, you’ll find a mix of antique, industrial and reclaimed home accessories to create a perfect decorative theme for each room of your new Fort Worth home. Simple Things also features a gift table with fun home gifts and ornaments perfect for the holidays. One customer calls Benbrook Antique Mall “Tarrant County’s best kept secret.” Take a step inside this impressive Benbrook business and you’ll see why. Benbrook Antique Mall showcases mid-century kitchenware, books and home décor—all at great prices. Antique furniture, armoires and decorative signs will help new homeowners build a truly beautiful space they’ll love to spend time in. Holiday sales are going on now! Located just 10 minutes from Ventana on the U.S. 377 Camp Bowie Boulevard traffic circle, The Mercantile is another local favorite for home goods. The Mercantile offers a carefully curated marketplace of 200+ dealer booths with an impressive collection of gifts, home décor, antiques, fashion, furniture and more. The Mercantile was also voted Fort Worth Magazine’s best place to shop for antiques and vintage finds in the 2018 Best of Fort Worth list. These are just a few of the wonderful Benbrook businesses that make Ventana such an amazing place to live! 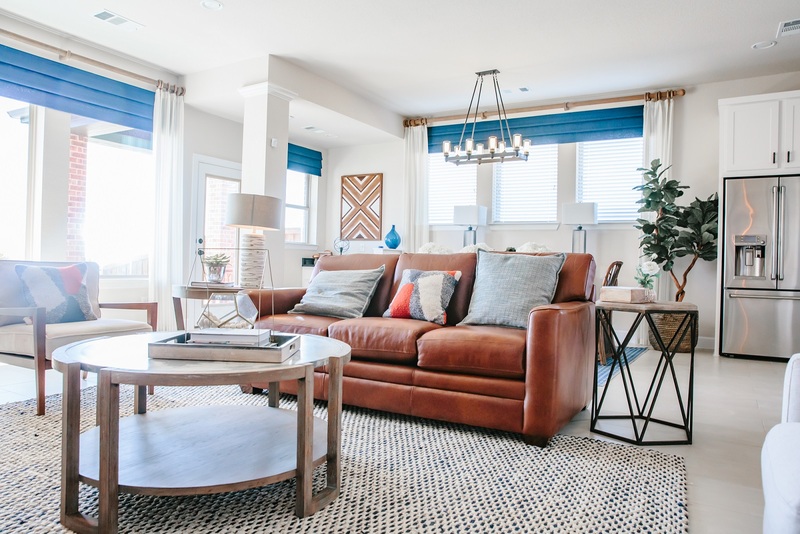 Situated in southwest Fort Worth just moments from Benbrook Lake and the acclaimed Benbrook schools of Fort Worth ISD, Ventana homeowners have convenient access to Downtown Fort Worth while enjoying the serene setting of Benbrook living. There’s still time to find your new home or lot before the end of the year! Contact us and visit our community today to learn about end-of-the-year specials and move-in ready homes by our premier home builders.